In Plainfield, a city of 50,000, more than half the schoolchildren arrive by car at their neighborhood school. Fewer than 1 percent arrive by bike. Fear of injury from crashes turns out to be a significant reason for this. So the City of Plainfield decided to do something about it. 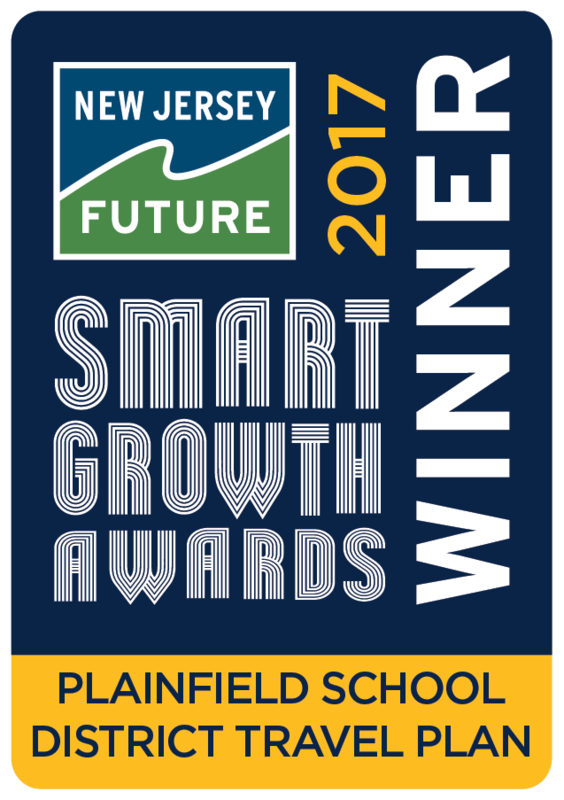 The city and the school district partnered with the Voorhees Transportation Center at Rutgers, the state Department of Transportation, the city’s local transportation management association, and a graduate class at the Bloustein School of Planning and Public Policy at Rutgers, to develop the state’s first district-wide school travel plan. Both the resulting plan and the wide-reaching process used to develop it are already being copied in other towns across New Jersey. To create the plan, the team examined the city’s history, demographics, transportation data including crash data, and policies from both the city and the school district relating to cycling and walking. They tallied the arrival and departure modes of students at various schools. They surveyed school principals to understand specific transportation concerns, and from that survey identified high-priority issues that were common across the city. They identified five representative neighborhoods served by seven schools where they could study how these issues played out day to day. The findings from this process, in particular the generalized fear of crashes, led to a set of proposed interventions. The next question was, how to prioritize implementation of those interventions so as to have the greatest positive effect? This prioritization process was guided by the project’s steering committee, which included representatives from the city, the district and the community. The steering committee took advantage of some existing social infrastructure — the Plainfield PTA Roundtable, which brought together PTA representatives from all the city’s schools — to host its public outreach. The project team used the outreach feedback to develop a prioritized action plan with recommendations to address safety issues, embark on an education and enforcement campaign, and evaluate results. In addition, specific intervention plans were developed for improved safety and walkability at five particularly problematic intersections. Included in the plan is a section on funding opportunities, guiding the city and the district to resources to help implement the recommended changes. The project team also identified where the plan would integrate with, or supplement, the city’s master plan, current policies and future development plans. 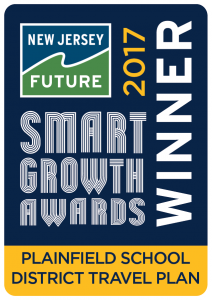 The result is a vital piece of smart-growth infrastructure that will help improve the day-to-day experience of all of Plainfield’s residents. Both the plan and the process that generated it are already serving as a model for other communities. And for a revitalizing city, ensuring that its children can get to and from school safely is a sound investment in future growth. Video produced by Lori H. Ersolmaz, Voices of Hope Productions, LLC. © 2017 All rights reserved.